You must make reservations at least 5 minutes in advance of the time at Dolce Vita. 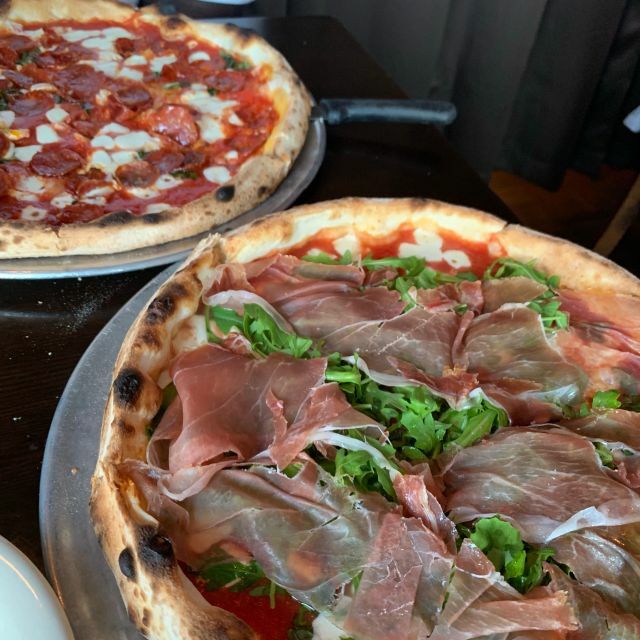 The second establishment in the Chef Marco Wiles family, Dolce Vita aims to bring the taste of true authentic Neapolitan pizza to Houston. 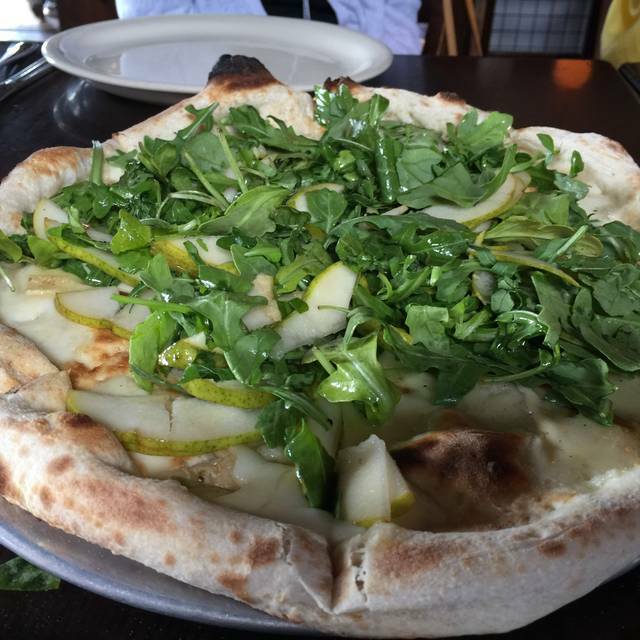 Located in the heart of Montrose, Dolce Vita's casual atmosphere with its custom imported wood burning oven will bring the true taste of Italian pizza to you with the quality the Wiles family is known for. The food was absolutely amazing as usual. We come here often. I love the tomato basil pasta and all the pizzas. It tastes just like Italy! The only thing about our last visit was the music was a bit too loud. The pizza is one of the best in town! Definitely recommend! 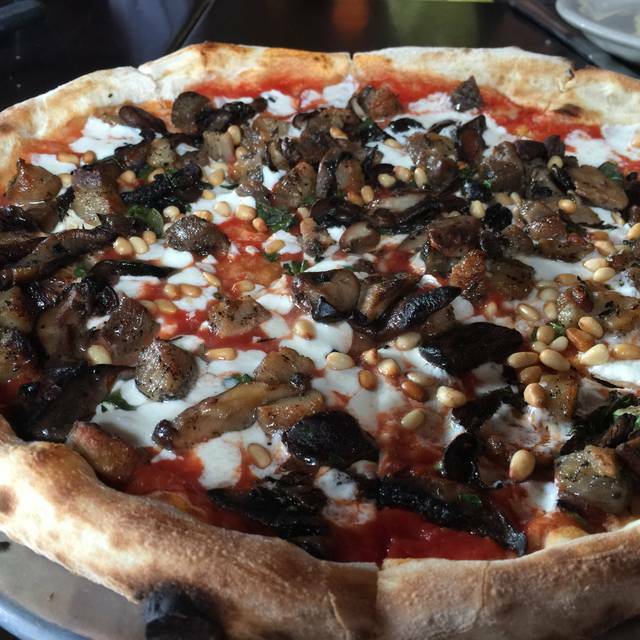 Dolce Vita has always been one of the best restaurants to go to for true Napoletana pizza in Houston. All of their dishes taste fresh and homemade. The meatballs are some of the best I have ever had. Even the dessert is exquisite with their gelato. The service and food are always great! The food has always been fresh whenever I've been. The Ambience is fabulous. My families favorite pizza. I love how welcoming everyone is - like a family restaurant with the best pizza ever. We celebrated my brothers birthday very last minute. They were able to accommodate our party of 8...The food is incredible and the service outstanding. Thank you DV for making our celebration so special. Can’t wait to get back. One of my favorites. Wine is excellent though pricey. We are never ever disappointed when we come to Dolce Vita. Fabulous as always. Best pizza in town! The food was amazing and the service was even better! U Willy’s not be disappointed! Very loud, pretty good service! Excellent food and service. Quaint, unpretentious atmosphere. We celebrated my daughter’s 20th birthday! Fun night! Been here at least 50 times and always have had a good experience until this last one. We were placed at an upstairs table in the middle of a walk path and underneath an air vent that made for an uncomfortable dining experience. Hostesses and waiters could not have cared less even after mentioning this to them and kept bringing new guests into the dining room between my chair and the column. I literally had my fork knocked out of my hand by a guest bumping into my chair. The bar would be only for drinks and not to have dinner. This restaurant was delicious. The pizza margherita was amazing, and the pasta was perfectly cooked, al denote. Service and food were very good. We were moved to a more spacious and comfortable table at our request.. There was a large party next to us that was extremely loud. Not the restaurants fault but the configuration makes this a possibility. One of my favorites all around. Great food and atmosphere. We sit at the bar. Service is excellent. Recommended for people who is looking for real Italian food. Real Italian taste and quality. Large variety of wine. Good price!! Very good service, tables organization needed more Atención. Food was Good. We felt very rushed and the waiter was very pushy... brought a bottle of wine out before we finished ours, left our table and didn’t come back for 10+ minutes because one person still was deciding what they wanted... we left feeling very weird about dinner and dolce vita is (well, was) one of our favorites! Also, it was someone’s birthday and he gave us the check before we could even ask him for dessert - so we didn’t even get to celebrate the birthday. Too many good restaurants in Houston to return, quite upsetting! Great food and wonderful service. We always enjoy our evening there. Went for dinner with my mom and the meal was delicious! Food was great from the starters to the pizza could not complain about the food. But service could be better slow at times and a bit cramped with the seating but that is the nature of this restaurant. The food was outstanding! The table ordered several appetizers I didn't think I would like I actually loved! Excellent wine too. Overall a great experience. 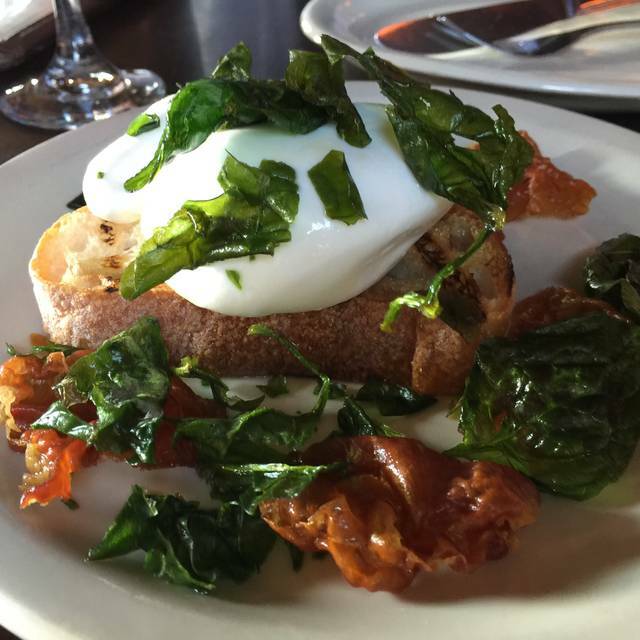 It's always a joy to go to Dolce Vita. It's a great place to sit, have some wine and talk while enjoying some really nice food. Probably the best pizza in town, but we don't always get pizza. There is a lovely variety of appetizers, specials and other entrees that are real treats and make it hard to make a choice. Whatever choice it comes down to always seems to be the right one. I had the bucatini all'amatriciana which was absolutely delicious and the perfect dish for the evening. They also have a nice wine list. We had a Montepulciano d'Abruzzo which is our go to wine there. There was a $3 charge for valet parking which is new. Birthday- Noted when making reservation, but no dessert offered. Lots of large tables around us, loud, difficult to get servers attention. Food always good. Great Birthday Dinner for my Hubby! Got a table on the patio on a nice evening. Good score. Plus a glass of sparkling wine to start. I loved the butter lettuce, gorgonzola and hazelnuts salad. My husband ordered a meat dish but ended up stealing my bucatini amatriciana! It was over the top good. We ordered two desserts: Chocolate ‘Bacio’ Chocolate Cake with Molten Center (OK but a little dry) and the Dark Chocolate "Tartufo" (excellent). A really nice bottle of wine, and great service from our server, Angel. Loved it! 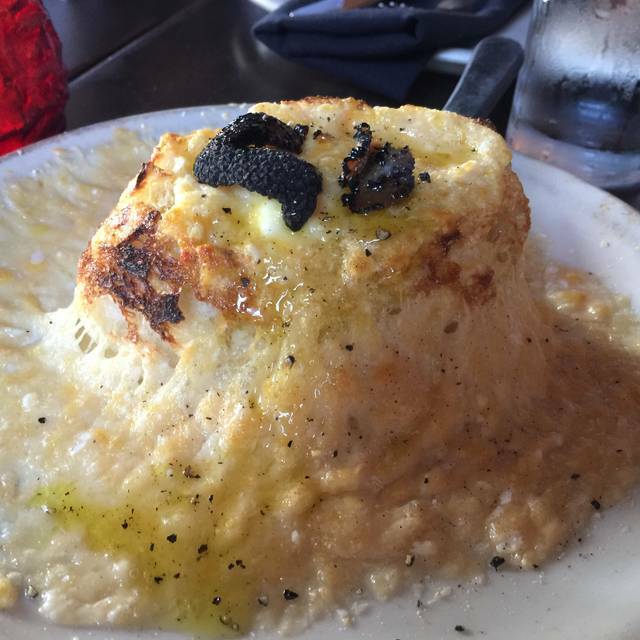 Excellent food, some of the best italian food in Houston. Great service. Absolutely loved this place! The owner is amazing and he even sang at the table. The food made me feel like I was back in Italy eating in Venice.